I think it is safe to say fall is well on its way. I officially hit half way through my pregnancy this week, which makes this whole baby bump thing a little more real and present. I recently invested in my first maternity jeans at about 17 weeks because the rubber band trick just wasn’t working for me anymore. The struggle with this awkward time where I find myself between I ate too much Mexican food last night, and I am obviously pregnant is that my wardrobe can feel a little like an unrecognizable and uncomfortable place. My favorite pieces no longer fit how they used to and the ones that do fit very differently than before. With a new season, I figured it’s time to choose some new pieces to accommodate going through these changes. Thankfully, the current trends are kind to a woman with a growing abdomen that seems to be different every day. Lou & Grey is one of the few stores I can trust to be forgiving during this time. Their pieces are stylish, simple, neutral, and offer comfort whether you are pregnant or not. The last thing I want to do is invest too much in maternity style pieces that only last for a few months of life if I don’t have to. Just thinking of giving my wardrobe a little refresher during this time is excited for a new season and all the changes ahead. I know Lou & Grey will have pieces that I will love both now and next fall. I came up with three looks from their fall collection in combination with my favorite closet essentials to show a few great fall looks that work with or without a baby bump. The jogger/track pant has been an essential part of the last few months. The loose waistband is so wonderful and comfy during this time, but it is hip and on trend this season. These pants from Lou & Grey have a more tailored look, and the color is just so pretty. I am a big fan of olive for fall, and I see it showing up everywhere. I paired the look with this comfortable jacket that buttons at the top and has a motto jacket feel without being too tight around the middle. I can see this being useful post-pregnancy as well, which is a huge plus. Though I wouldn’t suggest the wedge for everyday use if you are expecting the look is cute. You could also pair it with a good flat as well especially later in the season. Who says you can’t get away with a PJ look that is actually chic? The moment I felt these leggings I knew I needed them. The thick fabric and the higher waistband is like a dream come true for the upcoming cooler weather. A good pair of leggings is hard to find, but these from Lou & Grey are just the right thickness for me. Paired them with this marbled sweater that is one of the most comfortable things I have put on. Then I added my favorite chic sneakers, and just like that the look went from PJ’s to a street chic look. What no one knows is as I am as comfy as I am on a Sunday morning reading a book and drinking coffee. It is the simple things that make fall such a good time of year. 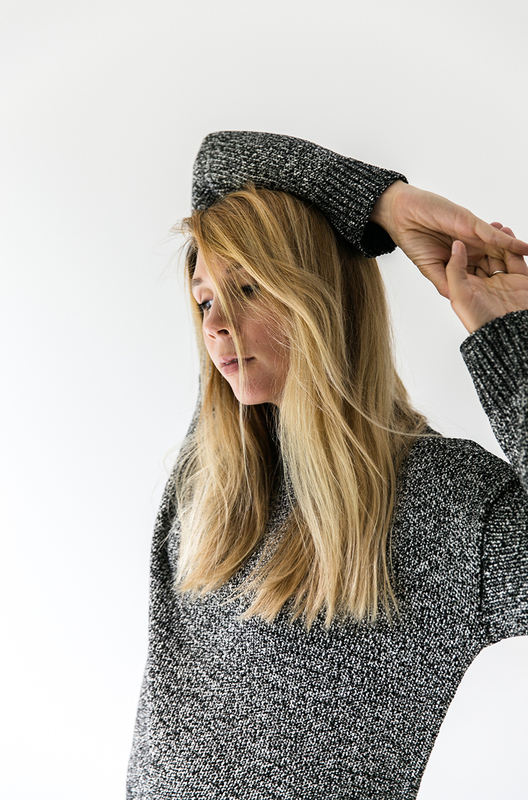 All you need is comfy pants that keep you warm and a sweater that fulfills all your sweater dreams. I have always been a huge fan of boyfriend jeans and thankfully I still have one pair that still fits. For fall, I plan to pair it with the classic crew sweater from Lou & Grey in Olive. 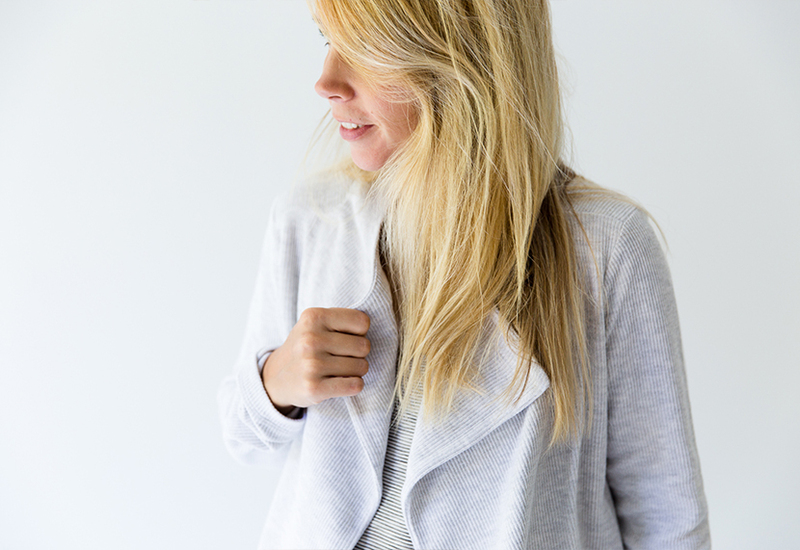 The side slit makes the sweater lay well over a bump or just fit perfectly loose over your favorite pair of jeans. It is the kind of everyday piece that is meant for fall. I finished off the look with my go-to D’Orsay heels in black. I have always been a fan of olive, denim, and black together. It just has that simple, clean, classic, and casual look all rolled up neatly. 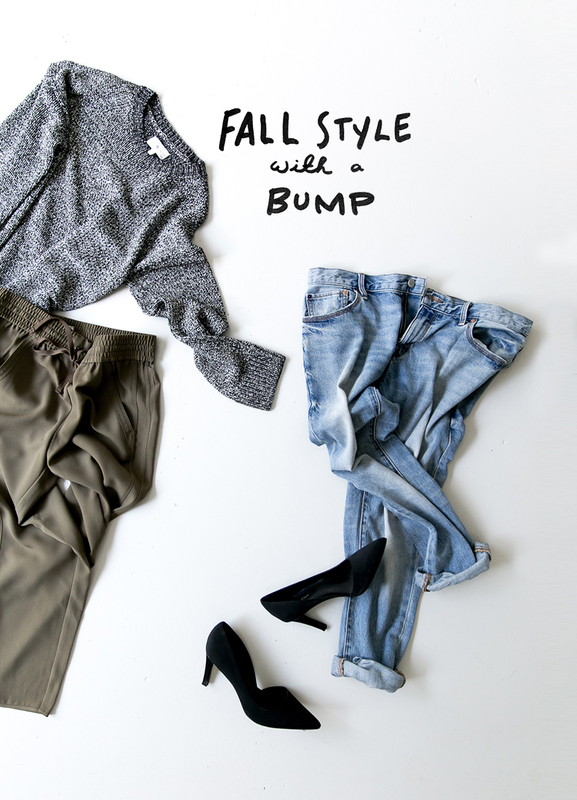 Whether you are pregnant or not, what looks are you thinking about for fall? Have you ever shopped at Lou & Grey? What colors are you adding into your wardrobe or removing to make way for a new palette this season? This post was sponsored by Lou & Grey. Thank you for supporting our sponsors that help make The Fresh Exchange so fun! As always all opinions and thoughts are our own. I love every one of these. olive green is definitely your color! It looks great on you! I love these looks…and Lou & Grey. I’m definitEly into neutral colors for fall, with nudes, creams, and olive tones being at the top of my list. The Cobblestone jacket and tailored track pants are instant favorites of Mine, and will prObably make it Into my closet this season! Pregnancy looks good on you Momma 🙂 I lived in maxi skirts. maxi dresses and leggings my entire pregnancy with Malcolm. With Lily, I wore a lot of maternity jeans and leggings, paired with long sweaters and turtle necks. Some how I managed to sneak by without a new winter coat in PA. The next 20 weeks will fly by, enjoy those baby kicks! That is pretty awesome and thank you! I cannot complain about much which I feel very lucky for. Still in love with those Vince High Tops! Girl, you look SO freaking amazing!! I love the colour of that demin wash, so classic. Love the green on you as well! Pregnancy is looking good on you, Megan! I love the comfy, cool looks – right up my alley.